The Daily Pilot - our newspaper of record for more than a century - announced it's DP 103 list of those felt were news makers and influenced events in the community this afternoon in an online article. Costa Mesa councilwoman Katrina Foley, who was elected again to the council last month after four years on the Newport-Mesa Unified School District Board of Trustees, was chosen to top the list. In the election she was the highest vote-getter by far, as she out-paced incumbent Mayor Jim Righeimer, who barely held onto his seat by defeating another former council member, Jay Humhprey, by 47 votes. Righeimer was named #5, behind new Mayor Steve Mensinger. Humphrey was selected #41. You can read the article HERE. 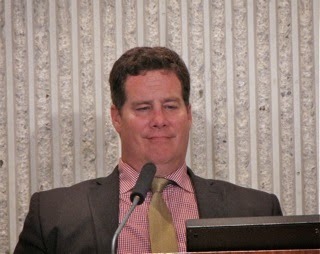 2 - Marshall "Duffy" Duffield - He defeated incumbent Mayor Rush Hill for a spot on the Newport Beach City Council. 6 - Diane Dixon - Captured a seat on the Newport Beach City Council as part of Dave Ellis' stable of candidates. 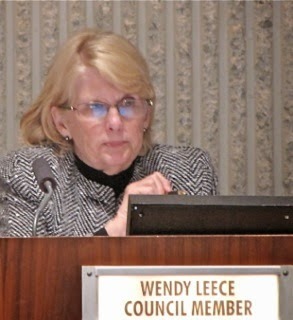 7 - Wendy Leece - Dixon's sister and termed-out Costa Mesa City Council member. 8 - Ed Selich - New Mayor in Newport Beach. 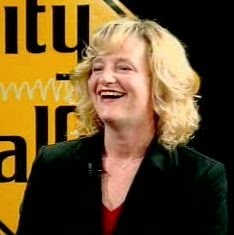 9 - Nancy Gardner - Former Newport Beach council member. 10 - Jack and Nancy Skinner - A formidable environmental activist duo, clearly worthy of a spot on this list. 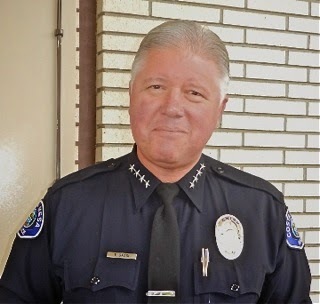 Last year's #1, Costa Mesa Police Chief Tom Gazsi, was on this list, too - at #12. He made it despite recently retiring and moving to a brand new position of Deputy Chief of Operations for the Los Angeles Port Police Department. This list will certainly generate some controversy - that's part of the fun, after all. I won't re-hash every person listed. Most are movers and shakers, political and otherwise, sprinkled with a few of us moved and shaken, too. 30 - Robin Leffler - President of Costa Mesans For Responsible Government (CM4RG). 42 - Rob Dimel - Costa Mesa Police Officer, former A.B.L.E. helicopter pilot and President of the Costa Mesa Police Officers Association, which is being sued by Righeimer and Mensinger. 43 - Harold Weitzberg - He lost the endorsement of CM4RG in his run for City Council, so jumped ship and campaigned for candidate Chris Bunyan, who finished dead last in the race. 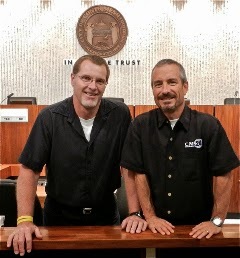 Weitzberg is a vocal advocate for Medical Marijuana sales in Costa Mesa. 52 - Mike Scheafer - Who was recognized, once again, for his work on the Costa Mesa Sanitary District and his body of volunteerism for most of his adult life. 61 - Dave Ellis - He managed to get his slate of candidates elected to the Newport Beach City Council but failed in his own race for a seat on the water district. 71 - Anna Vrska - This tenacious, tireless activist continues to dig into controversial issues in Costa Mesa, making public records requests to seek the truth on issues like the 60th Anniversary Celebration and city legal fees. 74 - Jim Fitzpatrick - I loved the note on his selection: "The Costa Mesa Planning Commission chairman approved development throughout the city and served as an activist in support of the council majority." Yep, that's about the kindest way to put it. 83 - Diane Hill - She works tirelessly to produce her United Neighbors electronic newsletter, which provides a wealth of timely and useful information to her subscribers. 84 - Cindy Black - She's on the job, working to protect Costa Mesa's natural assets, like Fairview Park. 88 - Greg Ridge - A Democrat activist who involves himself in issues beyond partisan politics. 89 - Vince Finaldi and John Manley - Righeimer and Mensinger's lawyers! I thought their placement on the list was curious. 94 - Dane Bora and Brad Long - Among my favorite selections on the list. These true professionals stay focused on the job at hand - providing excellent, award-winning video coverage of most Costa Mesa meetings and other events. 103 - The Newport Beach Civic Center Bunnies - I chuckled when I saw this choice because of the controversy that has swirled around them since the new Civic Center complex was opened. Oh, yes - I'm on the list again, at #31, just below Leffler. I'm always grateful to the editors and staff of the Daily Pilot when they include me on the list, regardless where I fall in the roster. I'm down a few notches this year - those darn politicians just clog up the top slots! My presence on the list will drive a few folks in town slightly nuts, but I guess the Daily Pilot staff thought the thousands of visitors to my blog each month and the millions of pages views that have accumulated since I launched this particular site represent value to the community. Or, maybe they just think I'm a nice fella... Whatever the reason, I'm grateful - again. 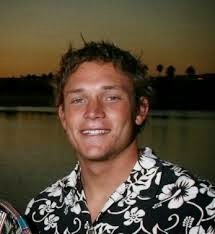 I was very pleased to see a companion piece to this article honoring the memory of Newport Beach Lifeguard Ben Carlson, HERE, who lost his life this year while attempting to save a swimmer in distress. Some think he should have been included on the list, but the list is for the living. The article by Alicia Lopez is a fitting, appropriate tribute to Carlson. So, there you have it. 105 persons (I don't know how to calculate the Yang family) and a bunch of ceramic bunnies that represent the 2014 Daily Pilot DP 103 list. Thanks to the editors and staff for this exercise, and for publishing it on Christmas Eve so we can enjoy it as we open our presents tomorrow morning. Wishing a Happy New Year's to all my fellow residents. If you haven't made a New Year's resolution, add. your voice and presence to council meetings or planning commission, park /rec etc..this is the year to make some noise, to speak out for our city, our police department (putting aside the criminal case against PI, the courts willl handle this) our officers need resident support. Who speaks for Costa Mesa and her best interests, if not you, who? Hatch And Sharpnack Apologize - For What?